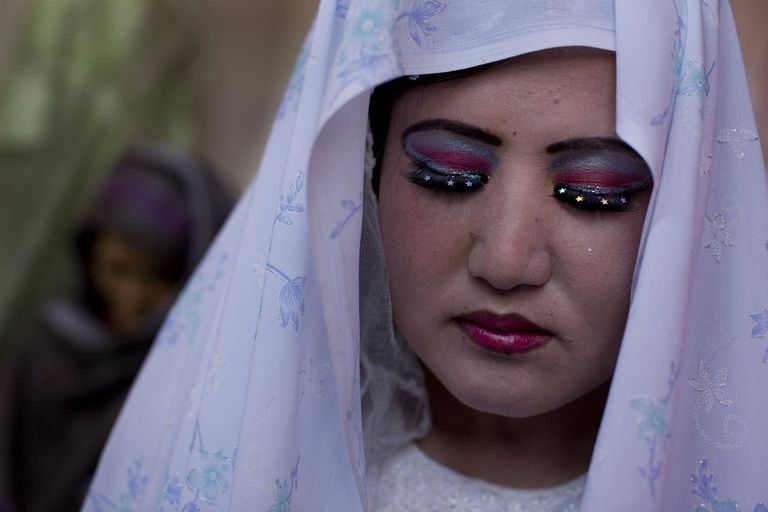 In Afghanistan, weddings last over several days. On the first day (which is usually the day before the actual wedding party), the bride gathers with her female family members and friends to enjoy a “henna party." The groom’s family provides the henna, which is carried by singing children from the groom’s house to the bride’s house. The groom makes a brief appearance, but this is primarily an all-female party. On the day of the wedding, the bride visits the salon with her female family members. The whole wedding party will dress up, but the focus is of course on the bride. The bride’s relatives and friends then sit with her at her father’s home, waiting for the arrival of the groom’s procession. On the day of the wedding, an even larger party is taking place at the family home of the groom. Male relatives and friends are invited to lunch, while musicians play tambourines outside. The groom’s family members host the guests, serving tea and juice as they arrive. After the afternoon (‘asr) prayer, the procession begins. The groom is traditionally seated on a horse decorated with embroidered cloth. All of the groom’s family members proceed to the home of the bride. The groom’s younger family members and friends follow along with the musicians, singing and playing tambourines during the journey. When all have arrived, the men listen to a short sermon about marriage before escorting the groom into the bride’s home. The bride and groom sit together on a decorated sofa, and the party begins. People listen to music, drink fresh juices, and eat traditional desserts. A wedding cake is cut and tasted by the couple first, and then distributed to guests. Towards the end of the party, a traditional Afghan dance is performed. As the bride and groom sit on the decorated sofa, they participate in a special tradition called “mirror and Quran.” They are covered with a single shawl, and given a mirror which is wrapped in cloth. A Quran is placed on the table in front of them. In privacy under the shawl, they then unwrap the mirror and look at their reflection for the first time, together as a married couple. They each then take turns reading verses from the Quran. A smaller procession is made to bring the bride and groom to their new home at the end of the wedding party. An animal (sheep or goat) is sacrificed upon the bride’s arrival. As she steps in, the bride hammers a nail into the doorway which symbolizes the strength of their new marriage. Another special ceremony takes place a few days later, when a few close friends and relatives bring housewarming gifts to the new bride. What Is the Burqa in Islamic Dress? Which Islamic Charities Are the Most Worthwhile? How do Muslims Divide Inheritance According to Islamic Law? 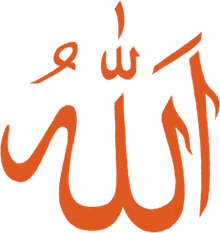 Who Is Allah to Muslims? What Is a Fatwa Anyway? What Are the Islamic Views on Breastfeeding? Does Islam Permit Interfaith Marriage?